From April 11-12, many of the world's leading robotics experts, venture capitalists, media, and industry leaders will gather in Genoa, Italy for RoboBusiness Europe, the premier B2B event for the European robotics industry. 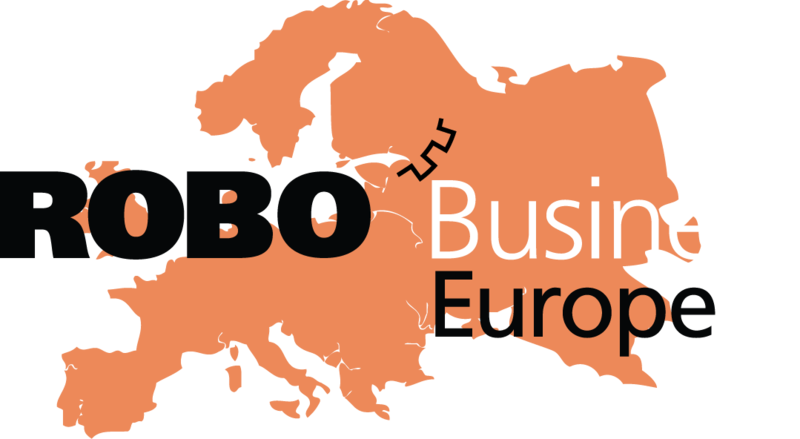 Built on the successful “Conference & Expo” model developed for the U.S.-based RoboBusiness Leadership Summit (now in its 8th year), RoboBusiness Europe is designed to enable robotics companies connect with potential clients and venture capitalists. A series of prestigious keynote speeches from leading figures in the world of robotics will be followed by a packed programme of roundtables and special sessions throughout April 11-12. Prestigious keynote speakers will share their insights on the key issues in the developing commercial robotics marketplace from the process of commercializing robotics research to future trends in the service and industrial robotics sectors. Meanwhile, specialist sessions will cover topics as diverse as business development and venture capital financing; the latest advances in medical and industrial robotics; and the market for safety, security, emergency response and rescue robots. 1. A special session on business development and investment, chaired by Paolo Anselmo, President, IBAN Italian Business Angels Network, Italy. This session will focus on venture capital and opportunities for business development and investment in the European marketplace. Among the confirmed speakers is Libor Kral, head of DG CONNECT (the highest-level robotics unit in the European Commission) and Diana Saraceni, General partner, 360 Capital Partners, Italy. 2. A special session on industrial robots, chaired by Clive Loughlin, Editor in chief of Industrial Robot, will examine key factors affecting the industrial robot sector with a special focus on end-user requests. Speakers in this session include David Corsini, CEO of Telerobot, who will provide insight from the perspective of the medium-size enterprise and share tips on how to find financial support for your robotics company. At the same session, Massimo Mattucci, Chairman, European Factories of the Future Research Association, will speak about pre-competitive research on production technologies within the European Research Area and public-private partnerships within the European Union. Rezia Molfino, President, Italian Association of Robotics and Automation and Professor of Robot Mechanics, Industrial Control Systems, Industrial and Service Robotics, Automation and Robotics, at the University of Genoa, Italy will provide the researcher's point of view and examine state-of-the-art industrial robotics in European research centers. And Erik Pekkeriet, senior project manager University of Wageningen, The Netherlands, will talk about the 'PicknPack' project and current developments and future perspectives in robotic and mechatronic systems for horticulture. 3. A session on healthcare robotics, which will take a look at cyborg technologies, robotic rehabilitation devices and what can be done to develop a common robotic platform to drive the healthcare robotics sector forward. Speakers include Franca Melfi, Chair, Robotic Multidisciplinary Center for Surgery, University Hospital of Pisa, Italy, who will explore state-of-the-art cardio-thoracic, robotic-assisted surgery and Paolo Dario, Director of the Biorobotics Institute at Scuola Superiore Sant'Anna, Pisa, Italy, who will talk about new trends and developments in healthcare robotics including use of the Web for providing remote healthcare assistance. RoboBusiness Europe offers unique networking opportunities for venture capitalists, researchers, end-users and robotics companies. Whether you're a researcher looking to commercialize your work, a venture capitalist searching for “the next big thing,” an end-user hoping to find a robotic solution, or a robotics company that wants to showcase your product, RoboBusiness Europe, in Genoa Italy is the only place to be from April 11-12, 2013. RoboBusiness Europe (April 11-12, 2013) is Europe's premier B2B robotics event and 2013's “must-attend” event for those interested in bringing robotics to market: how-to tactics, financing, building partnerships, marketplace strategies and commercializations are all part of a packed program, which includes keynote speeches from industry experts, special sessions on business development and venture capital funding, and roundtables covering a wide range of issues facing the commercial robotics sector. Innovability (www.innovability.it) is the leading Italian event management firm for the ICT sector, specialising in wireless, mobile and multimedia. Innovability has been staging successful B2B and B2C events for more than a decade. ClickUtility (www.clickutility.it) specialises in event organisation, management training, B2B marketing and European projects. The company operates in the mobility and local public services, transport and logistics, energy and environment and hi-tech sectors. EH Publishing Inc. (www.ehpub.com) is a leading publisher in the consumer electronics industry. EH Publishing Inc. reaches over a million industry professionals and consumers through multimedia channels of key products, including CE Pro, Commercial Integrator, Elettronica Casa and Media TechDecisions. Built on the successful “Conference & Expo” model developed for the U.S.-based RoboBusiness Leadership Summit (now in its 8th year), RoboBusiness Europe is designed to help robotics companies connect with potential clients and venture capitalists. The partnership between Americans and Italians is aimed at giving a voice to the sector of professional robotics in Europe by applying the “Conference & Expo” model, already tried and tested in the United States with eight editions. Real-time monitoring of the main meteorological and hydrogeological parameters available via the Flood Guardian system, designed by Clear S.r.l., which allows to make targeted interventions for forecasting and management of emergencies.